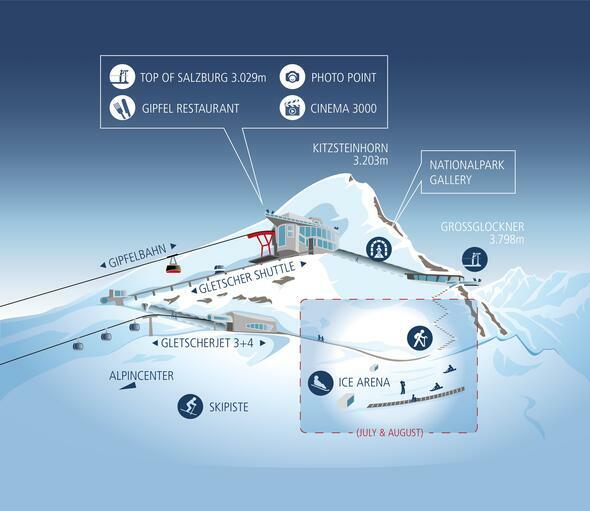 The Kitzsteinhorn has been awarded the "Best Austrian Summer Mountain Railway" seal of quality! real mountain experience. truly guaranteed. Over 60 awarded summer mountain railways guarantee experiences of the highest standard. Fancy adventure, culinary delights, art, family idyll or a unique panorama? The cable car division of the Austrian Chamber of Commerce awards the "Best Austrian Summer Mountain Railways“ seal of quality only to companies which offer quality-approved experience programmes and which are subjected to strict controls. Regular inspections ensure the compliance with the commitment to quality. The range of experiences includes everything from wonderful theme hiking tours and natural downhill routes for mountain bikers to amazing panorama restaurants. Great prospects for a real mountain experience.